Addison, Texas, May 30, 2012 – Global DataGuard® and EventTracker by Prism Microsystems® are hosting an informative webinar on today’s threat landscape, detailing how ‘big data’ analysis and correlation is changing the way in which security professionals are now able to detect and prevent complex, evolving attacks that often span days, weeks, months and even years. 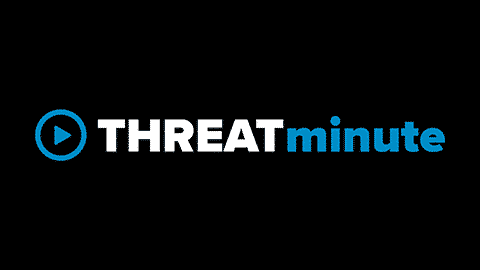 The webinar, ‘Threatscape 2012: Finding Advanced Persistent Threats with “Big Data” Analysis and Correlation,’will be held on Thursday, June 7, 2012 at 10:00 a.m. CST. A.N. Ananth, CEO of Prism Microsystems, and Scott Paly, CEO of Global DataGuard, will outline how these breaches – often referred to as advanced persistent threats (APTs) – are able to go undetected for very long periods of time and how, with the right tools, security professionals can utilize ‘big data’ to more quickly uncover highly sophisticated attacks. This webinar is ideal for Security Professionals responsible for regulatory compliance, risk management, and/or technology investments. Register now. The ability to successfully detect advanced targeted attacks, like APTs, by linking and analyzing large amounts of data to pinpoint meaningful anomalous behavior. The shift to context-aware security (such as time of day and location, as well as application, identity and content awareness) to improve the ability of big data analytics to discern meaningful patterns. The need to deliver risk-based security intelligence by distilling down vast amounts of data into prioritized, actionable insight or alerts. Because APTs are carried out patiently, over time, by sophisticated cyber-thieves who maneuver around firewalls and anti-virus software in order to steal valuable or highly sensitive data, obtaining actionable information that identifies when an APT is attacking a company’s network is difficult, but not impossible.